Hypocrisy is a counterfeit persona; it is a public performance of acting good, but that good is false because it is self-serving. “Goodness” of this kind is deceptive and often succeeds because most of us are so absorbed in our own daily fare that we do not spend much time analyzing the reasons why others act as they do. I would suggest that there is a very good reason to spend time analyzing why others act as they do. It is a form of truth seeking to spend the time to understand who is genuinely concerned about us and who has other motives. The quest for authenticity is vital in one’s decision-making process. Whether one chooses to be guided by the counsel of one person versus another, how we decide whom we want to be friends with, and why we deem to disengage from relationships with people who do not value us, are some scenarios that are guided by a desire to affiliate with those who have our best interests at heart. Perhaps there is no time more deserving of this sort of introspection than when an autistic individual transitions from childhood to their adult life. At this time of change for individuals and families it can be very challenging to find the right organizations, professionals, friends and family members who genuinely have the best interest of the autistic individual at heart. Some will act as if they do, but then there are things that happen to make one question their motivations. It is disturbing and eye-opening to discover that a trusted organization, family member or professional is more interested in their own agenda or needs rather than what is best for the autistic adult who is relying upon them. Those on the spectrum who can speak for themselves, particularly those in the self-advocacy community, question the motives of organizations who use prominent autistics to bolster their status. Parents of adult autistic children often feel let down by agencies and professionals who are supposedly acting on behalf of their family but do not take their child’s unique story into account. There are parents too, who put their own needs or frustrations ahead of what is best for their autistic adult child. In each of our lives we will face crossroads. Instead of looking at these times of change as frightening and paralyzing, there is another more empowering way to approach this. If one strives to seek authenticity using the tools of one’s intelligence and intuition it can lead to finding organizations, individuals and communities of support. But how will one know whom to trust? It is a process requiring a recipe composed of introspection and experience. Introspection about one’s own truth at the crossroads and experience through direct or actual and indirect or observational encounters with others. A first step is to honestly look in the mirror and be truthful with oneself about where one is now and where one wants to be in the future. It is in more concrete terms about creating a personal roadmap. Once one has a grasp of his/her own truth than that will be the guiding force in finding organizations and people who are aligned with one’s truth. The effort of seeking one’s truth and aligning oneself with supporters who act with authenticity towards us and in the world takes work. It will at times be very difficult because it may mean letting go of people and institutions we relied upon only to discover that they were hypocritical. However this is really not a bad thing because they weren’t truly there for us anyway. When only authentic supporters remain there is less stress, less hurt, less disappointment and more joy in the journey. This installment of Autism For A Lifetime: Finding Joy in the Journey is the opinion of its author, Linda J. Walder and solely reflects her point of view. I have tried to think carefully before I write. I believe that neglectfulness in thought before word is one of the biggest problems the autism community is having right now. With a recent barrage of stories focusing on adult autism in the media and several more in the pipeline, I wonder, are we as the drivers of information and opinion truly thinking before we speak? Are journalists acting responsibly when they tailor their presentations to fit their personal viewpoints? Are authors of books doing in- depth research using many different sources and importantly, primary sources (namely autistic adults) in portrayals they profess are accurate? Are people in the autism community such as parents and advocates who use Facebook and other social media taking a breath before they respond to points of view they do not agree with? Some are thinking carefully before they express themselves, but many are not. It has been almost 17 years since I began my journey in the world of adult autism.This journey started from the most profound grief I will ever know, the death of my little boy. My little boy was nine years old when he died and he was autistic. Everything about his life was unexpected, starting with his diagnosis that in those days was called Pervasive Developmental Disorder. We lived as many families do on a roller-coaster with devastating downs and exhilarating ups, and mostly we tired not to fall off as we went along. And then suddenly the ride ended so abruptly that I could not even move, I could not get up for a very long time. Eventually, I did get up, and I did get off of the roller-coaster, and when I stood before it I knew that I had to get back on. I had to do it for my little boy, and all of his classmates and all for others who like him were on this ride. But it was different now because I could look beyond my fear that was now tragically behind me and into the future with more objectivity. During the almost two decades I have served as the founder and executive director of this organization, I have seen so much that inspires me, but nothing even comes close to the people I have been blessed to know who are diagnosed with Autism Spectrum Disorders (ASD). Their stories, their challenges, their triumphs, their goodness, their frustrations, their exuberance and yes, even their pain is inspiring. These individuals, of all types, with many different backgrounds, needs and dreams are the people who matter to me most. I also am in awe of the thousands of parents and families who strive on a daily basis to make the world a better place for them. Surprisingly however, I have observed recently that it is all too often the people we would expect to be cheerleaders for the adult movement who are the anti-inspirers. When non-autistics boil over with their personal fears, pain and doomsday mentality about adulthood and autism they are not advancing the adult autism movement. This is not in any way to say that many of their cries for more programs, opportunities and options for adults are not valid. Indeed, to continue to create more to accommodate the increasing adult population is needed. What I object to is the insensitive way anti-inspirers are expressing their frustrations and also the inaccurate statements that are being made by some. One of the most insensitive kinds of statements I have recently heard goes something like this: “self-advocates just do not understand the needs of those who are more challenged by autism and cognitive disabilities.” This is just not so! I have spoken with many leaders and organizations who represent autistic adults and the majority do understand the diversity of the spectrum and believe that their calls for acceptance as a matter of human rights pertain to all people diagnosed with ASD, not just themselves. I also believe the only thing we do when projecting fear with divisive language is to create more fear and more division, like fighting fire with fire. In my view, we should recognize that there are worries, there are needs, there are fears but the presentation should not be one of doom and gloom and “woe is me.” The presentation should not characterize adults on the spectrum as “scary,” for instance. Why must we use the tactics of negativity to attain our goals when we have the chance to inspire America and the world with the good things that have been achieved already? The vision of all we neurotypical folks should first and foremost be the vision inspired by autistic individuals. Yes, there should be a place in the dialogue for the thoughts of family members and others but we must recognize that these are their thoughts, not necessarily the thoughts of even their own loved one with ASD. Even non-verbal individuals communicate their likes, dislikes, needs and wants and we must take time to listen in more ways than with our ears. I know that the autism community can do better. I hope we all take more time to think before speaking, to listen with open minds to one another, and to inspire progress through positivity. How can we legitimately ask for more respect from the community at large if we are disrespectful of others within our own autism community? We do not need to paint a picture of hopelessness and despair to the world to affect change, rather, we need to use all of the colors of the spectrum to share the diversity of needs and challenges ahead. Begin again…today! What a freeing and invigorating thought that should be a morning mental mantra, but is it easier said than done? At this time of year as children head back to school, adults shed their summer clothes replacing them with business attire and full agendas, and Mother Nature shifts the season, life can seem as if daily routines and challenges leave no room for personal choice. We have a lot to do and a lot of people telling us what needs to be done. How do we break free from the pattern of being that feels tirelessly restrictive? Recently I was in a near fatal car crash on the Atlantic City Expressway. I was a passenger in a car that was in the right-hand lane going the speed limit. Suddenly, and without warning, a car bolted from the median of the highway directly aimed at us, crashed into our car, sending our vehicle down a ravine into a tree. After the pounding force and cacophonous clatter of metal there was clear silence. As I sat in this silence, airbags blocking me from the shattered windshield, I felt strangely washed in calm. I had survived and so had the driver of the car I was in. That was all that mattered. We had survived, and G-d had given us a chance in a very dramatic and unforeseen moment to begin again. Rabbi Laura Geller, in an excerpt I read today, writes about Rosh HaShanah and the meaning of this season’s Jewish holiday that celebrates the anniversary of the creation of the world, “Your book of life doesn’t begin on Rosh HaShanah…it began when you were born…and the message of Rosh HaShanah is that everything can be made new again, that much of your book is written every day—by the choices you make.” If one believes that at birth one’s book of life is already written and sealed, Geller says that “you get to edit it, decide what parts to emphasize and remember, and maybe even which parts you want to leave behind. Shanah Tova means both a good year, and a good change. Today you can change the rest of your life. It is never too late.” I believe this message is universal and resounds in every faith. Begin again…today! It is a simple and stunning thought. Life presents each of us with many obstacles and challenges and so many unexpected twists and turns. One’s life can change in the flash of a minute, or can wear one down in a slow, painful grind. We often can control nothing about our lives except one vital and critical thing that is perhaps greater than anything that can be thrown at us—it is our power of choice. We can choose to begin again, to keep marching, to keep fighting the good fight, and even more, we can choose to live the life we have with the knowledge that is right in front of us taught by the mother of all mothers, Mother Nature…after the storm there will be calm, after the rain the sun will shine, after disaster there will be rejuvenation. Begin Again…today! What better way to start the New Year than to read an unedited piece from one of The Daniel Jordan Fiddle Foundation’s admired advocates, Amazon best-selling author Kerry Magro. Kerry’s new book, “Autism and Falling in Love” tells the story of how he was non-verbal as a child to overcoming the odds to become a national speaker and finding a relationship as an adult. You can learn more about Kerry and his book here. One of the better movies I’ve seen about autism in relationships was the 2009 film “Adam” featuring Hugh Dancy and Rose Byrne. In the movie, Hugh Dancy plays a 29-year-old with Aspergers Syndrome who just lost his father and has to transition to now living by himself for the first time. While in this process he also finds a romantic relationship with a new girl (Rose Byrne) who has just moved into his building. I had a chance to watch this movie again this weekend and it brought up a lot of different emotions for me. My new book “Autism and Falling in Love” is just coming out this week and in the book I discuss a great deal of the same topics that this movie does. One in particular they emphasize on is “mind blindness.” Mind blindness as Hugh Dancy’s character portrays to his girlfriend is the inability to understand what someone else is thinking. As a 26-year-old adult with autism myself, having this movie out there to discuss this specific challenge some face is very refreshing. In my book I discuss how mind blindness had made for several difficult scenarios for me in relationships. The inability to express empathy and to do this, to “put myself in the shoes of another,” limited my understanding of others, and made it difficult to develop anything but basic friendships/relationships. People are very complex and reading them—not only from a relationship standpoint but to advance in life, whether it’s through school, employment, on a professional level, is a necessary skill. Further, there are different names for this theory including “Tunnel Vision.” This has led to not only people I’ve been in relationships with but some of my peers to believe that I’m self-centered, and that regardless of what I’m doing, it’s about me and everyone else has to live with it (which is it farthest from the truth because I feel passionately about other people’s feelings). On the other hand, these experiences glaringly pointed out, that although I have raised the awareness of what autism is, and put a face on what someone with autism looks like, many people have no clue of what it entails or how it manifests or affects many in our community. I’ve never used my disability as a scapegoat for whatever tendencies I have gone through but what do you do? This is how I felt in one of my past relationships. I didn’t understand to what extent things were going wrong. What was worse is, when I was told what had gone wrong, I didn’t get the opportunity to try and fix things. Although I start seeking help within an hour of learning what had gone wrong, I couldn’t make things right for us and that has given me one of the bigger lessons I’ve ever had to learn. What I can share with the people reading this blog when it comes to mind blindness and also autism is simple. Follow my own advice… Autism is never a disability unless you let it become one. I take criticism as an indication of what I could work on to become stronger as a person, but in this situation where I haven’t been able to understand… I’ve just never felt so blind. John: How did you become involved as a Founding Trustee of The Daniel Jordan Fiddle (DJF) Foundation? Rich: I’ve been a longtime friend of Linda and Fred (DJF Foundation co-founders) and my children grew up with Danny (Danny Fiddle for whom DJF Foundation is named) so I knew firsthand the love and the spirit that was a part of Danny. My kids certainly enjoyed playing with Danny and being with him. When Linda and Fred decided to start the DJF Foundation, it was something I felt I wanted to be a part of to assure the ongoing legacy and memory of Danny. John: What is your role on the DJF Foundation Board and why is it important to you? Rich: My role on the Board has been to head up grants management of the over 100 programs and numerous community resources DJF Foundation has developed and funded during the past 12 years. As the organization has evolved, we have grown in the diversity of programs and resources we have created, including model DJF Signature Programs that have become blueprints for adult autism program development throughout the United States. We have always maintained our focus on transition and adult life for people living with autism and we have opened many doors of opportunity where none existed before. Another key aspect of being apart of the Board is being able to offer direction and work with Linda and the rest of the board members to create ways to address underserved needs. It has been very rewarding to work with the other board members and to be part of the team that guides and sustains the organization. John: Would you please tell me about your job outside of DJF Foundation? 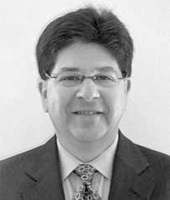 Rich: I am a retired executive at General Electric Corporation and I am head of one of the business development areas. John: How has your connection to autism grown over the years and what have you learned from it? Rich: Through DJF Foundation, I’ve met a number of families who have a family member on the spectrum and of course I have met many individuals who have participated in our programs and contributed their experiences and ideas to DJF’s efforts. It has been extremely rewarding to see the impact our programs and resources have had on individuals and families. It makes me continually realize how valued and needed the work of the DJF Foundation is to those we serve. John: What can a person who does not have direct connection, like a relative, do to be a better neighbor and friend to someone on the autism spectrum? Rich: Although my family does not have any autistic members, living next door to Danny gave us all, especially our sons, the opportunity to learn more about autism. My sons played with Danny and had many good times with him because they liked Danny and he was fun to be with, and we all cared for him because of the person he was and his lively personality. The fact that he was autistic was just part of him, but not all of him. There is no special way to act if your neighbor or friend is autistic, just accept them for who they are, like you would anyone else. John: What do you think the future holds for people living with autism? Rich: Well I think it’s getting better because there is more general awareness about autism. We need to continue to expand awareness that autism impacts individuals for a lifetime and that when children grow up there needs to be supports and services to help them live as independently as possible. This is why the advocacy efforts of DJF Foundation are so important and Linda with her broad expertise is making an impact. We need to always value and listen to people who live with autism. Our DJF Advisory Board is led by people on the spectrum and it is a great model for society to listen to those who are directly affected and be guided by their hopes and dreams. John: What made you decide to become a Founding Trustee of The Daniel Jordan Fiddle Foundation (DJF)? Steve: Fred Fiddle and Linda Walder, the co-founders of DJF have been close personal friends for many years, and I knew Danny (Fiddle) since the day he was born. When he passed away, it seemed like the only thing to do to support this new and what turned out to be groundbreaking organization, named for a special boy. John: What has been your role on the DJF Board? Steve: Over the years I have helped the Board of Trustees to formulate a strategic vision that encompasses a balance of our finances and objectives. I see my role as advising Linda and the Board with a plan for each year to help the organization succeed in achieving the goals of our mission. I have been glad to serve the organization and hopefully make an impact. John: Would you please tell me about your job that you do outside of DJF? Steve: I was a banker for years for Merrill Lynch, and now I do some teaching at Rutgers University Business School, and work on a lot of different things, primarily in the real estate business and private investments. John: What is your personal connection to autism? Steve: Well again, my personal connection is knowing Fred and Linda and obviously knowing Danny for years, and that’s how I got to understand about autism. If it wasn’t for that, quite frankly I probably wouldn’t know a lot about it. John: Does your own family have any members on the spectrum? Steve: We have in fact. There is someone in my family who’s on the spectrum, a person who is able to live pretty independently, but yes we have. John: What advice would you give anyone who has a loved one on the autism spectrum? Steve: Well like anything, probably do a fair amount of research: try to understand your loved one and their challenges as best as you can because if you don’t become educated, I think it’s difficult for all. The DJF website is a great place to start http://www.djfiddlefoundation.org where one can find many resources and updated information. Steve: I think it’s brighter than it had been over the last 10 years. It seems like the awareness factor has gone to new levels for a host of different reasons, one of which is the work and advocacy of DJF. John: Do you have any mentors who inspired you to continue working for DJF? Steve: The one person who’s inspired me really has been Linda. She’s amazing; everyone should be able to channel the grief that she and Fred went through; she has been able to turn tremendous grief into a positive and lasting energy in Danny’s honor and memory. We are all inspired by her. 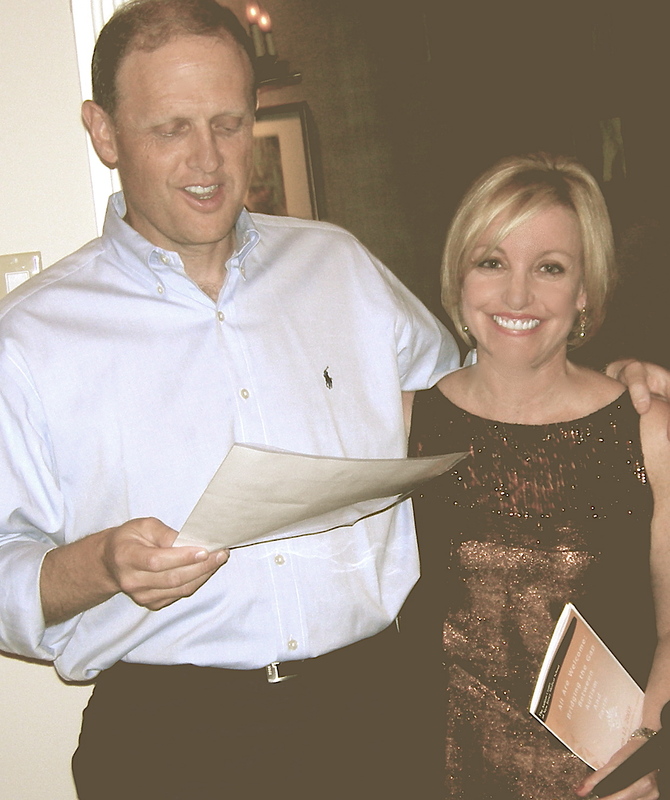 Steve with Linda at a DJF fundraiser hosted by him and his generous and talented wife Pam at their home. John Goldfarb interviewed The Daniel Jordan Fiddle Foundation’s Co-Founder, Fred Fiddle who explains his role at The Daniel Jordan Fiddle Foundation. John: What was your goal in co-founding The Daniel Jordan Fiddle Foundation? Fred: Daniel was my son, and Linda, the Founder and Executive Director and I co-founded The Daniel Jordan Fiddle Foundation in memory of him, and to carry out his legacy with the purpose of providing opportunities for the diverse adult autism community so as to raise their quality of life and give them a place in the world that would be better for them and their families. John: Why is being a member of the Board of Trustees important to you and what is your current role? 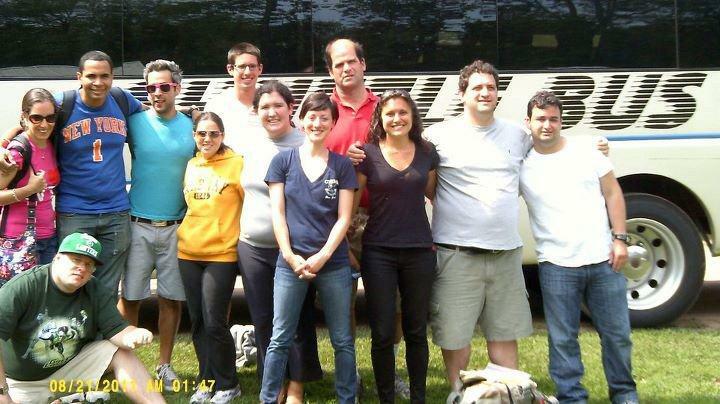 Fred: As one of the organization’s founders, I continue to help oversee the direction of both short term and long term goals while maintaining the mission to focus on adults living with Autism. I’m the treasurer of The Daniel Jordan Fiddle Foundation, and chair the oversight of all financial aspects of the organization . John: Would you please tell me about your job, or what you do now? Fred: For many years, I’ve worked on Wall Street. I am a banker, and I’m an investment banker and originate what are known as capital markets transactions. John: In what other ways have you connected to individuals and families because of your work with The Daniel Jordan Fiddle Foundation? Fred:, I’ve developed close relationships with other families that have autistic sons, daughters, nieces, nephews, aunts, uncles, as I’m sure your well aware, this is a situation which has grown in significant proportions over the years. There’s many now that are on the spectrum and I’ve reached out to many of those in need and have been blessed to come into contact with many families that have family members on the spectrum, and it reminds me of times with my son and also reminds me that giving back is something that’s really important in life. John: What are your hopes for the Autism community? Fred: I would tell you that the future, I would hope continues to improve. I would hope that there would be more organizations either like ours or at least similar enough and that they’re supportive of the autism community. I would hope that government plays a larger role in sponsoring programs and services for those living with autism. Certainly there’s a lot of effort and research that’s gone into trying to establish the grounds on which autism is triggered in individuals, but the bottom line is, there’s an enormous population that are currently living with autism, most of those individuals will live a fairly long life, a typical lifespan, and everyday there are kids that are being born that will at some point be diagnosed, so the size and scope of the issue is significant, and I only hope that the support meets the challenge. 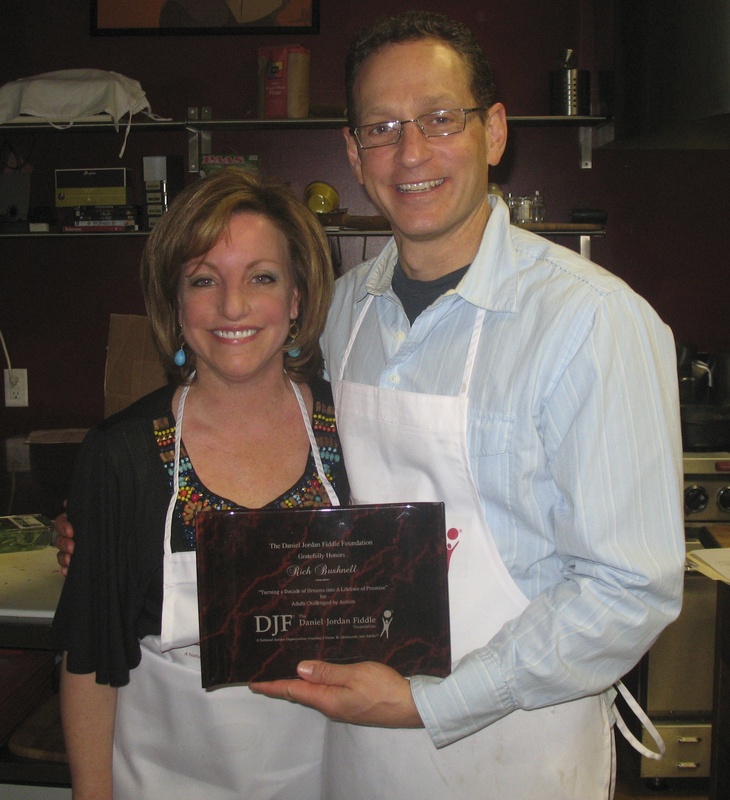 John: How did you become a a Founding Trustee on the DJFF Board? Vicki: I was Danny’s first teacher at the Forum School in New Jersey. When I was asked to join the Board by Linda Walder and Fred Fiddle (co-founder’s of DJFF), I was flattered and honored and when they told me the that the organization would be the first one in the United States to focus exclusively on young adults and adults living with Autism, I was completely committed. Joining this dynamic organization was aligned with my own interests and on a personal level, to this day, continues to give me purpose. 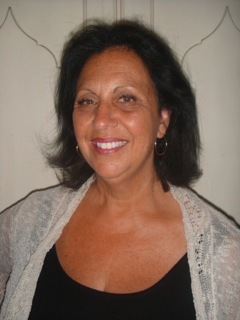 Vicki: I am the Supervisor of Instruction and Structured Learning Coordinator at the Forum School in Waldwick, New Jersey. I act as Assistant Director of the school. My career has always been in Special Education, primarily working with learners living with Autism and related challenges. My job at this point is to coordinate learning experiences for students ages 16-21 and to also oversee the behavioral components of their educational programs. I also coordinate all of the teacher assistants that work in each of the Forum School classrooms (the Forum School serves children ages 3-21 years old). John: Who are your mentors? Vicki: I have a few…Linda Walder, Founder and President of the DJFF is one of them because she has taken a personal tragedy and turned it into a highly respected and leading organization that benefits people living with Autism everywhere. Dr. Steve Krapes, the former Director of the Forum School has been a role model and has guided and enhanced my understanding about teaching students with different challenges and I am extremely grateful to him for his 25 years of mentorship that truly shaped my career. John: What a advice would you give parents who are raising a child living with Autism? Vicki: I think being accepting that everyone is different is key. Acceptance will lead to understanding the needs of your child and then you will be able to help your child be the best he or she can be. It will also lead to providing the supports that will enhance your child’s life by enabling them to be part of the community. live fulfilling lives. This is the legacy of my student Danny Fiddle, and the DJFF Foundation created in his memory and honor, for all people living with Autism to reach their personal best.